Fusion in Fashion in Hong Kong Céline Dion’s branded fashion accessories were among the items in the spotlight at the 49th edition of the HKTDC Hong Kong Fashion Week Fall/Winter. Held 15-18 January 2018, the annual event attracted some 1,400 exhibitors from 13 countries and regions, underscoring Hong Kong’s trendsetting role in the region. YDC 2018 Behind the Scenes | Highlight The Hong Kong Young Fashion Designers’ Contest (YDC) 2018 came to a spectacular close on 8 September, in a celebration of youthful talent, diversity and alternative visions. Led by VIP judge designer Martine Rose, who flew in from the UK for the event, the panel of judges – comprised of renowned industry personalities – had a difficult decision to make, given the level of talent on display. 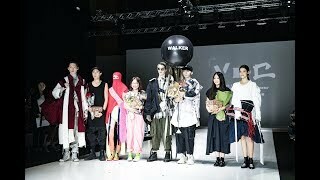 YDC 2018 Show Highlight The Hong Kong Young Fashion Designers’ Contest (YDC) 2018 came to a spectacular close on 8 September, in a celebration of youthful talent, diversity and alternative visions. 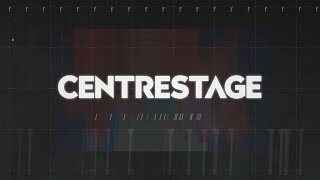 CENTRESTAGE 2018 – Inspiring Tomorrow’s Fashion Asia's fashion spotlight event returns with CENTRESTAGE, a unique promotion platform dedicated for international, especially Asian, fashion brands and designer labels. Held from 5-8 September 2018 at the Hong Kong Convention and Exhibition Centre and carrying the theme of “TOMORROW LAB”, CENTRESTAGE presents dazzling fashion shows and a bustling fairground to connect exhibiting brands to an influential network of buyers and media in the region, making lasting connections.